Syberia - Part 2 is rated 4.3 out of 5 by 51. Rated 5 out of 5 by cmason63 from One of the best This is just different - it's not like the normal adventure games (more fantasy-laden and unreal storylines), but better characters overall, especially the development of Kate Walker. The only problem is sometimes, the characters got "stuck" - the game froze like a regular computer freezes, and I'd have to start over, especially in Pt. 2. There are some other small tech-glitches, one in particular in Pt. 3, but overall, I would love to see more games like this. Rated 5 out of 5 by Sirchchris from review like part1 a great adventure worth every cent. Rated 5 out of 5 by glowingemberz from Love this sequel! 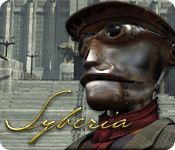 I thought this would not be as good as the original Syberia. I was pleasantly surprised to find it just as fun (especially the puzzles) and the story line was good too. Rated 5 out of 5 by loopey from Just Great What can I say it had me from the very beginning. I wish there were more the same. 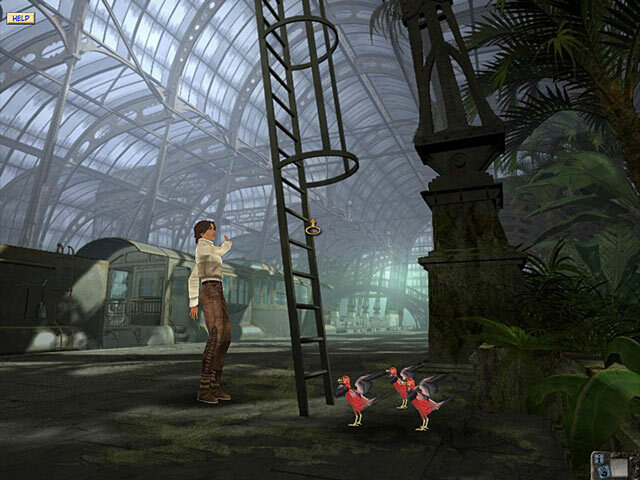 Rated 5 out of 5 by eedebeep from Don't miss the Syberia series! I'm not sure why Syberia 1 and 2 were rereleased as Syberia Part 1 and Syberia Part 2. They did some tweaking, esp of the controls, but I prefer the original versions. This is such a unique, spellbinding, and touching game trilogy. Unbelievably a game where I actually like the voiceovers and music (I usually mute those, the only other series where I like it is Ravenhearst). It is a pure adventure game, lots to do, beautiful graphics and wonderful automatons. Yes the graphics are a little dated but it adds to the charm. Also, for a rarity, a realistic lead female character not dressed with skin tight clothing and plunging necklines. There is nothing like Syberia, I highly recommend it and can't wait to play Part 3! 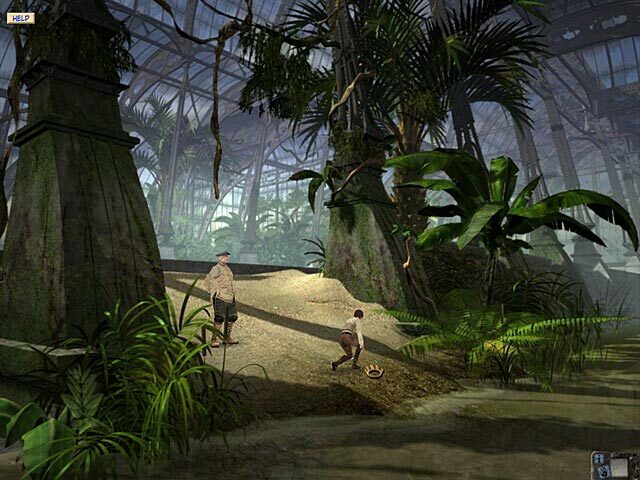 Rated 5 out of 5 by sabinesa from On of the top 5 all time great adventure games I am an old style gamer and started with the magical Myst in the early 90s - no internet, no walkthru's, just you and the wonderful world created by some outrageously talented developers, artists and scriptwriters. Somewhere in my heart, I still long for those days when a game took weeks to complete and I completely got sucked into the atmosphere, the sounds, the characters and the storyline. Since then there have only be a view like it here and there. Nowadays, once one gets stuck for a few minutes, off to the walkthru or strategy guide it is and a game hardly lasts longer than a weekend. 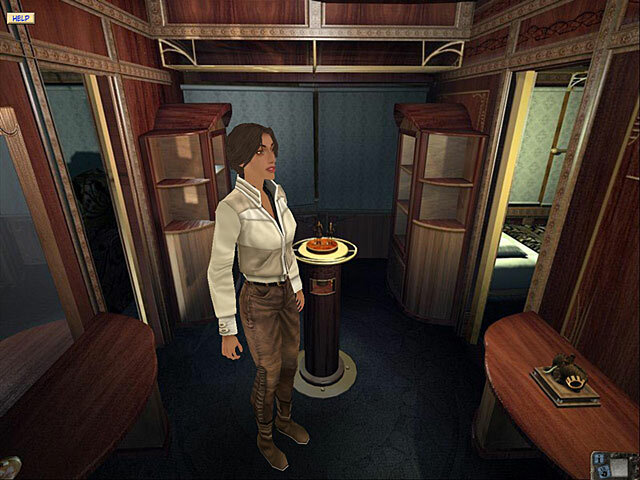 Syberia is one of the few and though it came out nearly 10 years ago, it has lost none of it's magical vibe. The story is just too wonderful and told very well, the game as a whole, with it's graphics, the music, the voices, just all of it is special and spell-binding. As I said, it's definitly one of my top 5 adventure games of all times and I wished I wouldn't know the story, so I could play it over again and gaze in total wonder and amazement at the gorgeous sceneries that are so true you feel like you are right in it and part of it. The puzzles/tasks flow well with the overall game, seem fitting, are challenging without being overwhelming = just right to keep your attention all the way. This was done before anybody knew what HO stands for so no hidden object scenes, just good old fashion wonderful adventure play for hours. I don't know how they did the splitting into different games, but the original came in two instalments. Anybody that ever even slightly liked adventure type games cannot miss this. Try it from the first one, as it needs to be played together and in sequence otherwise the story doesn't make sense. I usually don't write reviews, but this deserves all the glory it can get. I very highly recommend this game. Have fun on the way to Syberia! Rated 5 out of 5 by possumpoppy from Challenging large file game which will take you on a wonderful journey I loved every aspect of this game.The challenge, the story line and the beautiful graphics all melted into one wonderful gaming experience. I was gutted when I finished although uplifted by the storyline. Have a go, you wont be disappointed. Just wish there were more like this. Rated 5 out of 5 by jbeckman01 from One of the most awesomest games I have ever played!!!! I thought I was the only one that felt about the game as I did. When I finished it, it had taken me so long to do it that I was really into the game. I wanted to cry also when it ended!! Love it! Would like more like this game. Rated 5 out of 5 by cherleadford from Why is it listed as a new release I have both 1 and 2. Have had them for some time. Why is it listed as a new release? I highly recommend these games. They are wonderful.